Tucked behind a beautiful neighborhood, the stretch of market along Columbia Road is offers a wide variety of potted plants, flowers, seeds, ornaments, great food and many more. The stall holders are especially charismatic and the prices are excellent for London. Arrive early, as it gets very busy during the day. The Brick Lane Market is actually a collection of markets that gather on Brick Lane Saturdays and Sundays. There you'll street stalls overflowing with antiques, clothes and bric-a-brac at bargain prices. Now an artistic hub and the heart of London's Bangladeshi community, Brick Lane was once associated with poor slums and the setting of Jack the Ripper's murders. You'll know find the vibrant area full of galleries, ethnic restaurants, and markets. TopSpots from TimeOutLondon: Twentysevenpalms.com is a lovely, colorful stall in the UpMarket section of Brick Lane, selling cushions made from bright printed fabric. The carpet stall (actually more of a wall than a stall) sells carpets and rugs very cheap. It is located just off Brick Lane on Bacon Street. In the main part of Brick Lane, near the corner of Cheshire Street, there is an occasional stall selling wonderful old luggage and trunks. Also, Hunky Dory Vintage is a shop at 226 Brick Lane that is the best place to buy clothes and handbags. Tip: If you're in need of a pick-me-up or a respite, combine your Brick Lane experience with a trip to Franze and Evans on Redchurch Street, an Italian café with the best coffee in town, and then drink it in the beautiful surroundings of nearby Arnold Circus. Duck and Waffle offers a two for one deal: a delicious meal with stellar city views. Situated inside a 40th-floor space with floor-to-ceiling windows, you’ll be able to take in sights such as the Thames River, Shoreditch, and Hyde Park as you dine. Food-wise, the appealing British and European-centered menu features treats such as crispy truffled polenta, freshly baked bread with homemade dips (try the ‘nduja and gruyere), spicy ox cheek doughnuts, and of course, duck and waffles (served with mustard maple syrup). Reserve in advance. Roald Dahl's much-beloved story transforms into life at the Cambridge Theatre in the heart of central London. This critically acclaimed musical has stunned play-goers since 2011, with fantastical characters of Britain's favorite writer magnificently springing to stage from Tuesday to Saturday until December 17th, 2017. A stone-oven bakery that originated in Stockholm, Fabrique is an artisan chain where fresh, natural ingredients and traditional methods combine to produce fabulous sourdough breads and pastries, including their legendary sweet, sticky, wonderfully buttery cinnamon and cardamom buns. An excellent spot for Scandinavian-style breakfast. 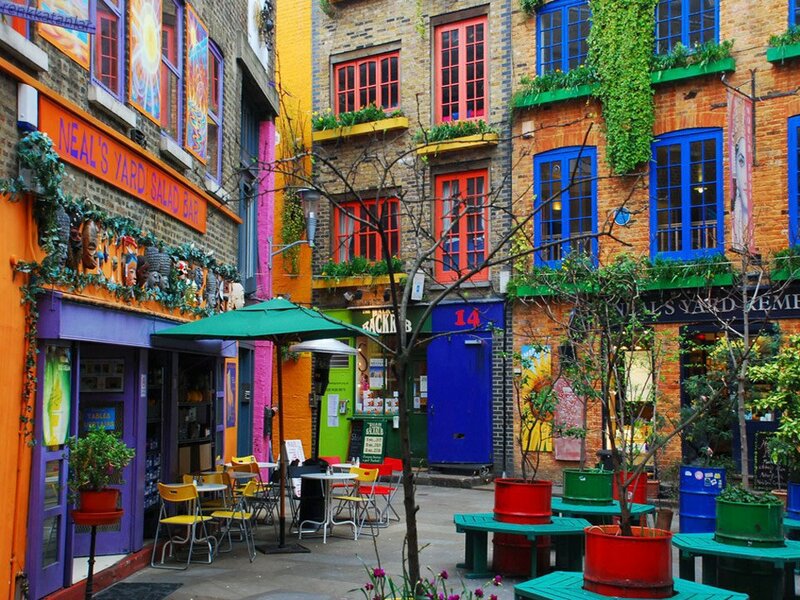 Neal’s Yard is a hidden area near Covent Garden that’s easily missed if you're not looking for it. There are only two alleyways leading into the Yard, which give way to a colorful and quaint treasure trove in the center of London. Upon entering the secret haven you’ll be rewarded with the city’s sweetest destinations, such as Neal’s Yard Bakery, the Remedy Shop, a New Age bookstore, vegan cafes, and a relaxing tea room. Tucked away in the quirky and colorful Neal’s Yard, Neal's Yard Remedies is a must-visit destination for lovers of natural skincare and beauty. Their holistic goods are equal parts effective, aesthetically pleasing, and ethically made, which means it will be hard to choose between the excellent products on offer. We’re particular fans of the exfoliating body polishes, the potent facial serums, and the long-lasting reed diffusers. 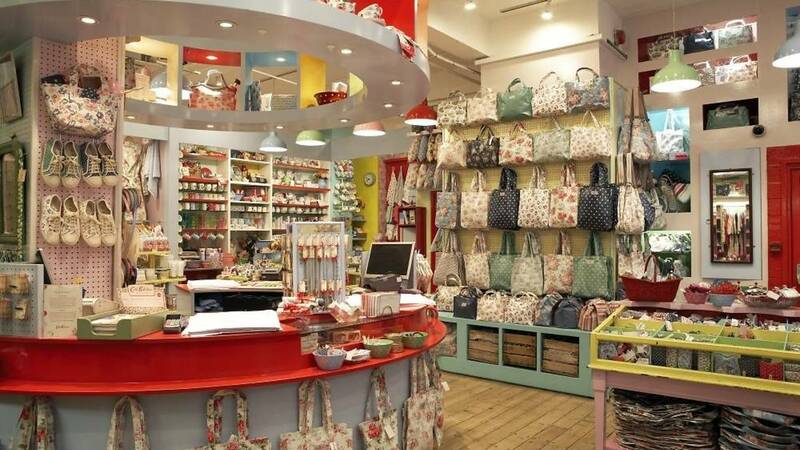 Cath Kidston is the true emblem of rustic British loveliness. Seek out their delightful tea set and quilted pyjama sets - the ideal gift to take home (though they also stock practically everything you could need for your home). If you don't want to break the bank, however, have a look at some of their quaint miniature accessories, which start at around £4. Find their store a few minutes' walk from Covent Garden Station, Central London. Have a world-class meal at L'Atelier De Joel Robuchon, an inventive French brasserie with expansive dining areas and an open kitchen. The award-winning eatery will give you the opportunity to taste Robuchon's outstanding culinary creations, which you can enjoy a la carte or tasting menu-style. No matter which direction you choose, expect wow-worthy plates like caviar served with a crispy rice battered poached egg, roasted Scottish lobster in saffron bisque, and sea bream ceviche with Peruvian citrus. Reserve in advance.